Gary L. Wenk, a Professor of Psychology & Neuroscience & Molecular Virology, Immunology and Medical Genetics at the Ohio State University and Medical Center, is a leading authority on the consequences of chronic brain inflammation and animal models of Alzheimer's disease. He is also a member of the OSU Center for Brain and Spinal Cord Repair. He received a B.A. degree in psychology and biology from Albion College and a Ph.D. in Neurotoxicology from the University of Cincinnati. He then trained as a post-doctoral fellow in the laboratory of Drs. Peter Davies and Robert Terry at the Albert Einstein College of Medicine. He joined the faculty of the Departments of Psychology and Pathology at the Johns Hopkins University for nine years and served as a Program Director for the Neurobiology of Learning and Memory & Biological Basis of Behavior Program, Division of Behavioral and Neural Sciences, at the National Science Foundation. He joined the faculty of the University of Arizona and was a research scientist in the Division of Neural Systems, Memory & Aging for 15 years. 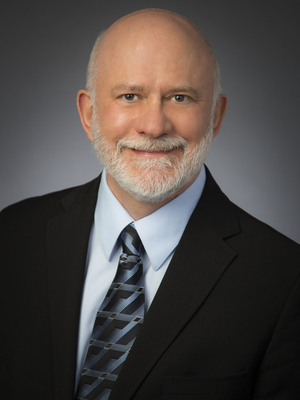 Professor Wenk has had continuous RO1-level support from the National Institutes of Health since 1984 and has served as chairperson of three different NIH study sections since 1997. Professor Wenk was elected in 2008 to the rank of Fellow by the American Assosciation for the Advancement of Science for distinguished contributions in the field of neuropharmacology, neurodegenerative diseases and neuroinflammatory processes. This rank was first given in 1874 to members of AAAS whose "efforts on behalf of the advancement of science or its applications are scientifically or socially distinguished." Professor Wenk is currently also Director of the Neuroscience Undergraduate Programs and was recently appointed by Governor Kasich to the Governor's Medical Marijuana Advisory Committee as the Academic Research Representative. Doody, R.S., Mintzer, J.E., Sano, M., Wenk, G.L. & Grossberg, G.T. (2003) Alzheimer's disease: Emerging noncholinergic treatments. Geriatrics, (Suppl) 3-11. Rogawski, M. & Wenk, G.L. (2003) The neuropharmacological basis for Memantine in the treatment of Alzheimer's disease. CNS Drug Reviews, 9: 275-308. Wrenn, C.C., Kinney, J.W., Marriott, L.K., Holmes, A., Harris, A.P., Saavedra, M.C., Starosta, G., Innerfield, C.E., Jacoby, A.S., Shine, J., Iismaa, T.P., Wenk, G.L. & Crawley, J.N. (2004) Learning and memory performance in mice lacking the GAL-R1 subtype of galanin receptor. European Journal of Neuroscience, 19:1384-1396. Wenk, G.L. (2004) The role of BDNF and dopamine dysfunction in autism, In: M.L. Bauman & T.L. Kemper, (Eds.) The Neurobiology of Autism, 2nd Ed., The Johns Hopkins University Press, Baltimore, MD, pp. 362-370. Wenk, G.L. & Marchalant, Y. (2009) Neuropharmacology. In: G.G. Berntson & J.T. Cacioppo, (Eds.) Handbook of Neuroscience for the Behavioral Sciences, John Wiley & Sons. Wenk, G.L. (2009) Neuroanatomy of learning and memory. In: D.S. Charney, E.J. Nestler, & B.S. Bunney, (Eds.) Neurobiology of Mental Illness, 3rd Ed., Oxford University Press, New York, NY. Hopp, S.C., D’Angelo, H.M., Royer, S.E., Kaercher, R.M., Crockett, A.M., Adzovic, L. & Wenk, G.L. (2015) Calcium dysregulation via L-type voltage dependent calcium channels and ryanodine receptors underlies memory deficits and synaptic dysfunction during chronic neuroinflammation. Journal of Neuroinflammation, In press. Hopp, S.C., Royer, S.E., D’Angelo, H.M., Kaercher, R.M., Fisher, D.A. & Wenk, G.L. (2015) Differential neuroprotective and anti-inflammatory effects of L-type voltage dependent calcium channel and ryanodine receptor antagonists in the substantia nigra and locus coeruleus. Journal of Neuroimmune Pharmacology, In press.